Our guided relaxations do just that – they help you calm your body and mind. They are not hypnotic or meditative, and require no advanced techniques. The voice recordings give simple, practical guidance in how to improve your energy levels and reach mindfulness. There is no need to concentrate or hold a specific posture. Just listening is enough. You’ll be amazed at how easy it is to become calm and relaxed. Mind Hero provides over 20 different guided relaxations for various issues and goals, with more still to come. Some may be used for a quick energy boost, and some will help you in the long term. Others will help you get to grips with stress related problems, such as headaches, nervousness, tiredness, depression, and general lack of energy and focus. You will even find recordings to help you prepare for a specific occasion, such as an important meeting, or to reach a specific goal. Choose from over 20 background tracks including instrumentals, nature sounds and 5 Elements music. Each track will colour your relaxation differently giving you scope of hundreds of different experiences. However you may find your favourite combination and stick to it for a long time. Whatever you enjoy most will work best. If you wish to use your own collection of relaxation recordings, and to have everything in one place, you can import them onto Mind Hero via official Apple’s Music app. 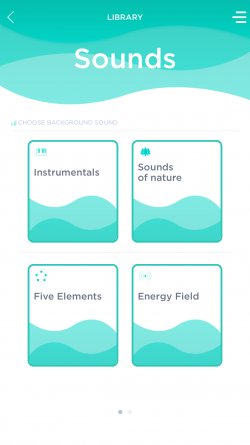 The usage of imported recordings will also take part in your Aura Score. 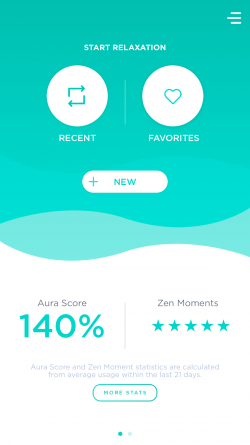 Aura Score gets calculated by combining duration and quality of your relaxations using Zen Moments feature. It takes into account your activities in last 3 weeks, helping you with motivation and encouraging you to create a healthy daily habit. For an average person, we recommend a 100% Aura Score goal. Eventually, it can go up to 200%, so all those who like a good challenge, the floor is yours! 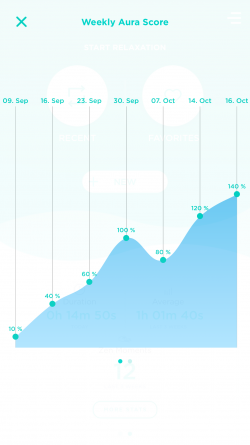 Read more about Aura Score here. 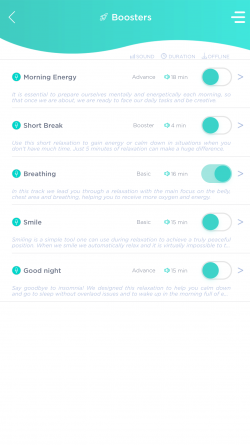 After each relaxation, you have an option to rate how well you have relaxed. Track those uplifting moments of inner peace or pleasant energy flow. Zen Moments are in one way the goals of every good relaxation, but our suggestion is not to hold on to it for too long, so you can make room for new experiences and deeper levels of relaxation. 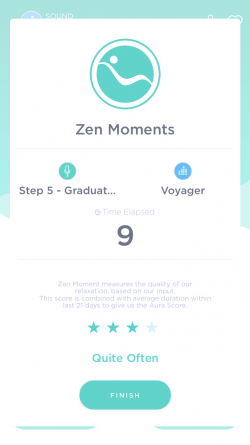 Zen Moments will be calculated into your Aura Score as well, giving you additional motivation to work on them. Read more about Zen Moments here. Co-Founder and lead expert on natural guided relaxations. An enthusiastic collector of Steiff bears. Co-Founder, CEO and numbers crunching guy. Guitar, pizza baking, and rowing enthusiast. Editor in chief. Clothes and lifestyle designer, mindfulness expert and global gypsy. 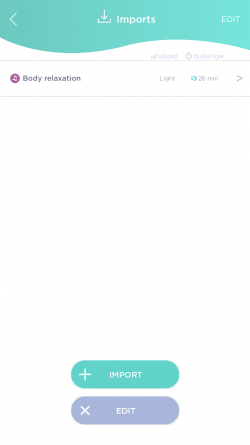 Lead iOS developer. In free time enjoys traveling and parachute jumping .